In 2012, the world of physics was rocked by the first observation of the exotic Majorana quasiparticle, in Leo Kouwenhoven’s laboratory. These particles are a promising candidate for robust quantum bits in a topological quantum computer of the future. A major challenge that lies ahead is how to manufacture usable, error-free quantum chips. By using new manufacturing methods, researchers from QuTech, in collaboration with TU Eindhoven, have successfully observed Majoranas in significantly improved conditions. This rules out alternative explanations and also represents another step towards the topological quantum computer of the future. The researchers published their findings today in Nature Nanotechnology. 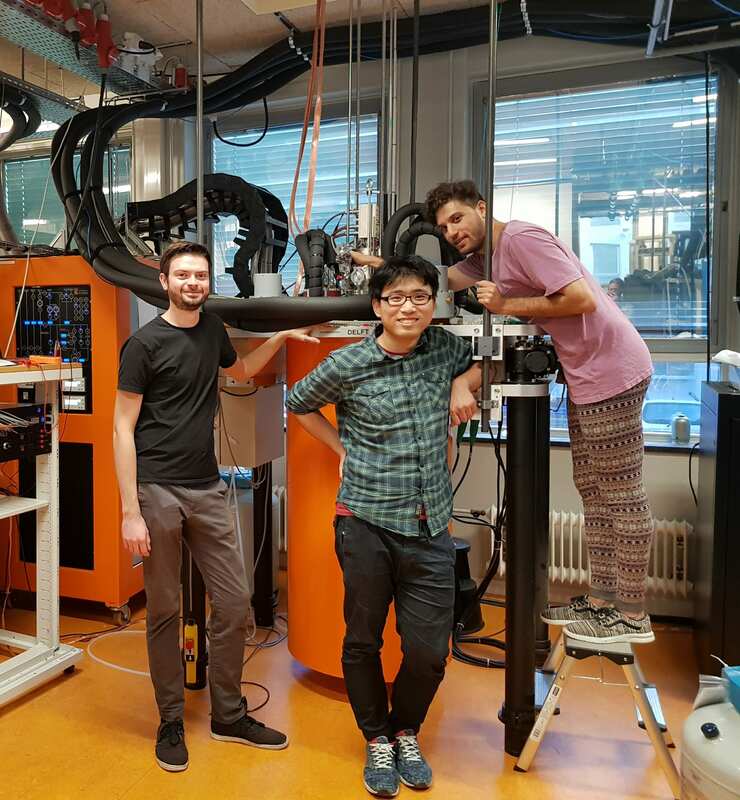 At QuTech in Delft, and at other leading institutes around the world, researchers are working to develop the computers of the future: quantum computers. There are numerous ways of making the building blocks of these computers – the quantum bits. 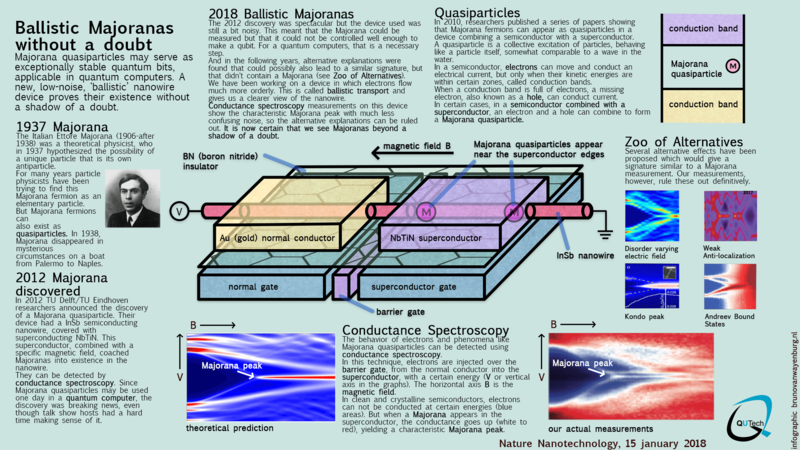 A promising approach involves using Majorana quasiparticles. ‘Their unique physical characteristics mean that they are much more stable than the majority of other qubits’, explains doctoral candidate Jouri Bommer. However, making and regulating these Majoranas on the way to creating this topological quantum computer is still in its infancy. Majorana quasiparticles only appear in materials in extremely restricted conditions. When a nanowire made from a semiconductor is connected to a superconductive material, researchers see a so-called zero-bias peak in the case of certain magnetic fields and electrical charge. Bommer: ‘This signal is the main characteristic of the presence of Majoranas, although under noisy conditions alternative explanations can be found for this’. In a collaboration between QuTech and TU Eindhoven, the researchers created a clean nanowire, featuring improved contacts that leave the nanowire intact at almost atomic level. ‘With our improved Majorana measurements, we can be absolutely certain that the zero-bias peak means that we have actually found Majoranas’, says Bommer. ‘This is an important step towards developing a topological quantum computer, because such a computer can only be developed if the Majoranas actually appear’. 4Microsoft Station Q Delft, Delft, The Netherlands.